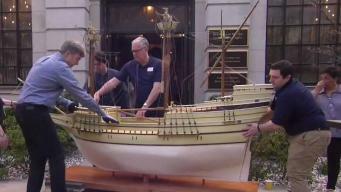 The opening ceremony for the "Mayflower 400th" anniversary was held Wednesday morning at the headquarters of American Ancestors in Boston. 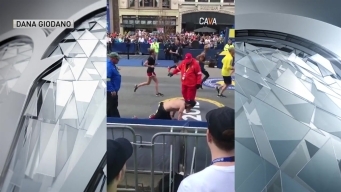 Marine veteran Micah Herndon collapsed Monday near the Boston Marathon finish line, but pushed forward and crawled to complete the race in honor of his slain comrades. 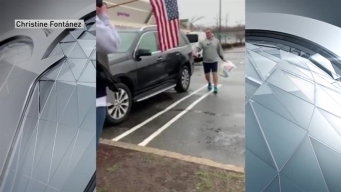 Bruins legend Ray Bourque apologized after crossing the picket line to buy groceries at Stop & Shop. 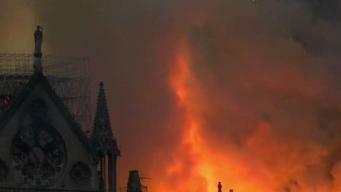 The sight of the Notre Dame was hard for people on scene, including tourists from New England, to comprehend. They say laughter is the best medicine. 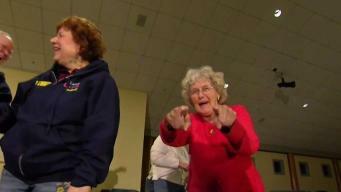 An exercise teaches people how to laugh, even when there's nothing to laugh about. If you want more information about laughter yoga, head to their website! head to their website! ">They say laughter is the best medicine. An exercise teaches people how to laugh, even when there's nothing to laugh about. If you want more information about laughter yoga, head to their website! Scammers are ramping up the volume of fake calls specifically targeting Massachusetts residents. A Shrewsbury, Massachusetts, auto shop owner faces charges in an insurance scam. 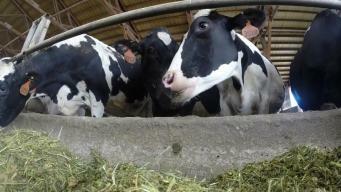 Runoff from farms has been a major source of pollution in waters around Washington's Puget Sound over the years, but new technology is helping make farms more fish friendly. KING's Erik Wilkinson reports. Charlie Coyle scored in overtime to give the Bruins a 3-2 win in Game 1 of their Eastern Conference second round series against the Columbus Blue Jackets. Tempers were high at a school committee meeting in North Andover, Massachusetts, where parents and students have expressed concerns over officials' response to allegations of sexual assault.